I'm back from a weekend in the Catskills where we talked endlessly about renovation, furniture layout and colors for the country cottage. Essentially a dream weekend for me. My brother and sister in law are tackling a lot of the critical indoor stuff now like plumbing and roofing (aka nothing you really want to hear about) but the weather is turning warmer and they have a ton of outdoor space so we are looking for outdoor inspiration. 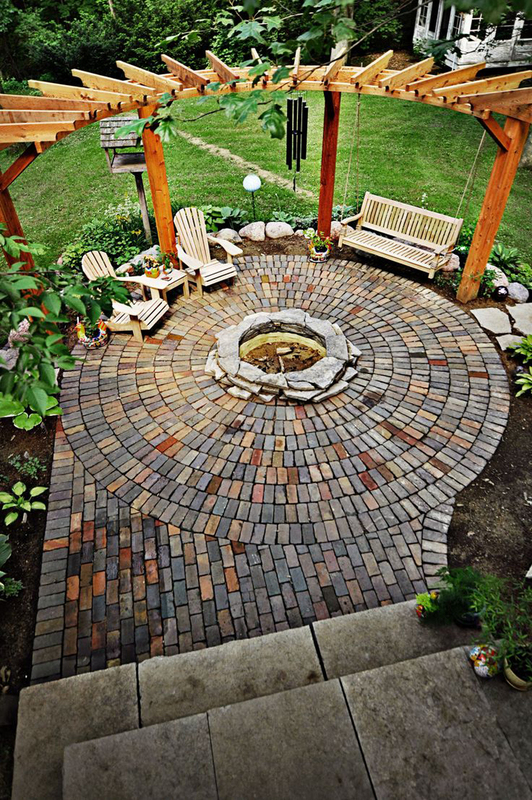 This round brick patio with pergola and firepit totally stopped me dead. I've never laid a patio before so perhaps this is just a bit too ambitious for a DIY but I'm smitten. Any master patio people out there? How hard would this be? 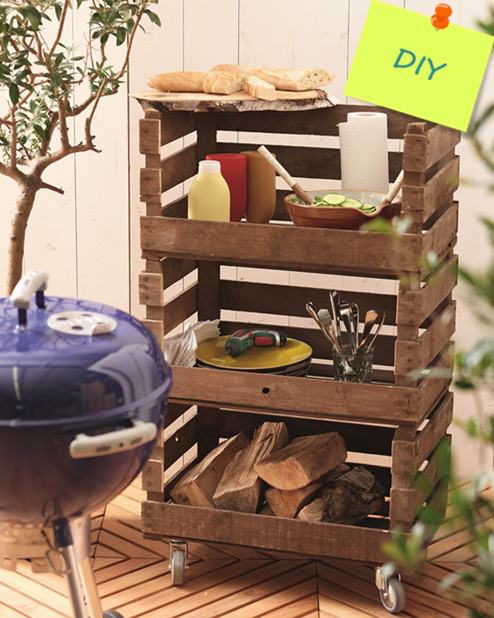 Speaking of firepits, isn't this DIY BBQ caddy adorable? The DIY tutorial is not in english but the photos make it easy to follow along. A wood burning firepit is a definitely must have for them which I know is a fairly straight forward. The curved pergola might be out of our depths but the brick laying is a totally new thing for me. Maybe doing a square instead of a circle would make more sense for a first timer? Give it to me straight people. I am not a master patio person but I completed a patio like this several years ago. You can do it. The main things to remember are to make sure you are starting with pure dirt on the bottom and pound it down to get it level and hard. Then lay the pavers/bricks. I used a fine sand as a "grout" - It's fun to make the design. Good Luck. What else would be in there beside pure dirt? The base would be dirt - as you dig the grass up. You can add more dirt to the base layer and make sure you compact it with one of those heavy duty machines. Lay your bricks. Yes, bricks are best because you can get the angles of a circle. then fill in with pea gravel or sand to act as the grout. Good luck - I am sure whatever you do will turn out - you are the master of everything reno. You have been my inspiration for the past 5 years or so. I just never comment. I have been following your blog for a long time. I just can't get over your style. Love it. Out of all our DIY projects, I'd have to say laying our front walkway was our hardest project. Truth. It's dirty and physically demanding work. Laying the bricks is the easy part (just make sure all of them are right side up. Learned this the hard way!). It's the digging out, levelling, tamping down which is most of the effort. Your posts about your walkway were actually what I was thinking about when I thought twice about it. Granted my brother would be doing all the heavy duty labor but still...I dont want to bite off more than I can chew from a design perspective. Do you wish you had hired a pro to do it instead? From a design perspective, I think you can do it. We had a challenging condition because we were intersecting upwards with an existing driveway, plant bed, and stairs and had to figure out those different levels/grades. Sean spent many summers installing walkways so we had that experience to draw on. But I think if you're doing a step down patio it should be more straight-forward. Our walkway wasn't that long but if it was and required dealing with a large slope or removal of a large existing heavy concrete walkway, I would have definitely been looking at hiring a pro. It's doable and very satisfying, but it's hard physical work and I would think up North y'all would really have to worry about ongoing frost heave? I'd lay a couple of inches of gravel or sand down first, but maybe I'm over estimating the cold, and perhaps they won't care if it gets uneven.  This Old House has some good info on laying brick. To do a really good job, you need to dig down much deeper than you'd think you would, like down to where the soil changes color, iirc. Oh this makes my heart go pitter patter! A square or rectangle will be a lot easier to manage,especially if it's your first go-round. Use polymeric sand between the joints. It will dry hard and prevent weeds from coming up between the pavers. Remember to grade it away from the house. Good luck!